CAST : Akshay Kumar,John Abraham, Rimi Sen, Neha Dhupia, Paresh Rawal and Rajpal Yadav. CAST : Shiney Ahuja, Emraan Hashmi ,Kangna Ranaut. 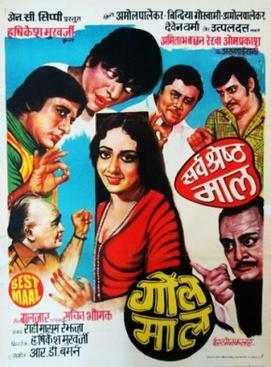 CAST : Mithun Chakraborty, Pran ,Nandana Sen . The start of the film is set in 1951. In a small village of Idar in Sabarkantha District North Gujarat, a young man dreams of making it big some day. His father (Rajendra Gupta), the headmaster of the village school, tells him that dreams never come true. Gurukant Desai (Abhishek Bachchan) decides to go to Turkey and enters the spice trade and then later is promoted but refuses the job because he wants to work for himself and not another man. Ajay Devgan is SP Amit Kumar, who is given charge of the Tejpur District in Bihar. The area is full of crime, including those committed by the local police. Gradually Amit realises that the local politician Sadhu Yadav is the one who benefits the most out of it.